A team of individuals continuing to raise the bar in paragliding service and education. Eagle Paragliding has been training new and current paragliding students for over two decades. Eagle was the first sister school of Dixon White’s Airplay Paragliding before the two schools merged in 2006. Eagle Paragliding is recognized as the student and current pilots best choice for all levels of paragliding training in the United States, and tours all over the world. Paragliding Articles about the Eagle training programs have appeared in The New York Times, the cover of The Santa Barbara Independent, and many other periodicals and film productions. Their reputation as an industry leader stems from the unmatched service and education provided to their clients by their team of instructors and managers. Eagle Paragliding founder Rob Sporrer was honored with the United States Hang Gliding and Paragliding Association Instructor of the Year Award in 2002, and was the protege of American paragliding icon Dixon White. He was lucky to be a pupil and apprentice of South Coast flying legend Tom Truax a.k.a Sundowner. Eagle has been lucky to attract top pilots and Instructors from around the world to build a team of professionals dedicated to creating an extraordinary learning environment. Our unmatched passion to teach and give lifelong support in helping you realize your dream makes us the obvious choice. 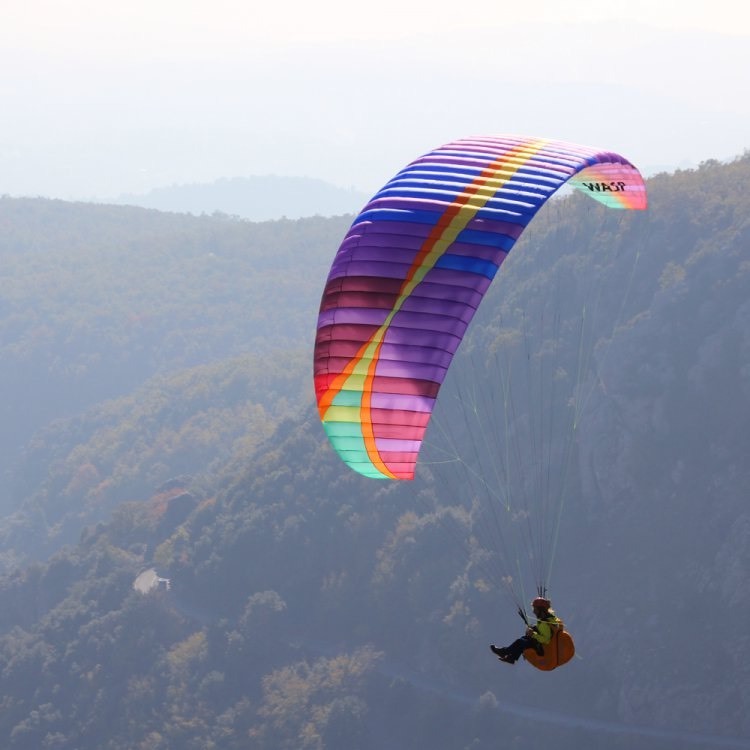 Eagle is also an importer of premium paragliding equipment and products, and support its products and customers with a full service shop in downtown Santa Barbara. Eagle is currently importing UP, Niviuk, and Woody Valley paragliding brands. Eagle supplies schools, customers, and students from all over the country with a premium selection of paragliding products. You can review our products lines in our online paragliding shop.